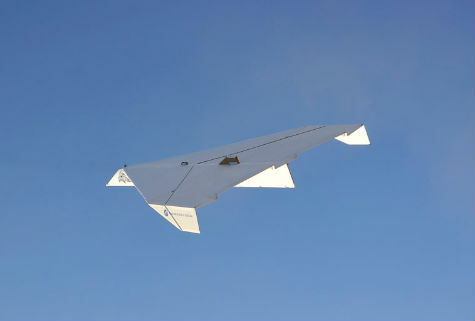 The world’s biggest paper airplane was launched in the Arizona desert just south of Tucson, earlier this week. The plane is 45 feet long and was built by the Pima Air & Space Museum. It was lifted into the air by helicopter and released. As far as we can tell, it isn’t actually made of paper, unless it’s some really think, layered paper. You can read more about the project at GreatPaperAirplane.org.